I found The Nerd's Wife while blog hopping! 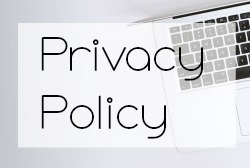 This blog is just so much fun! 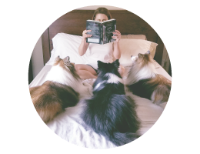 Arena blogs about reading, cooking, photography, travel.....just about anything that's going on her "geeky" life. 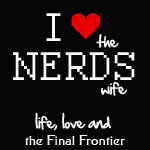 She has a beautiful blog and writes great reviews - go check out The Nerd's Wife - It's one of my favorites! How did you get the name for your blog? My husband is a *huge* nerd. One night, he said something that totally reminded me of Sheldon from The Big Bang Theory. I thought to myself, "I could blog about all of this stuff." And so I did. It started out small, with just a few stories about the nerdy things we did. I wanted to learn to cook, so I added a recipes section. I got a new camera for Christmas, so I added photography. I love to read, so I added book reviews. It has grown and morphed into something that I'm very proud of. How would you describe your blog? It's an eclectic mix of cooking, reading, photography and nerdiness. The book section, What I'm Reading, contains reviews and author interviews. My reviews are honest -- I'll tell you if I book stayed with me after I closed the cover. I love the power that a book can have over you like that. What kind of blogger are you? Very organized or fly by the seat of your pants? Oh, I'm *very* organized. In fact, I have a day planner devoted to the blog. I keep a list of posts in it and assign each post to a day in my calendar. I try to write all of my posts early and schedule them to go live the day they're slated to post. What are you reading right now? At this very moment, I'm reading The Replacement by Brenna Yovanoff. It's a very dark and haunting story - I love it so far! Thanks for stopping by Arena!! Love your blog!! Great interview Karen. I'm going to check Arena out right now, she sounds right up my alley! We like The Nerd's Wife too! Hi Arena!! !